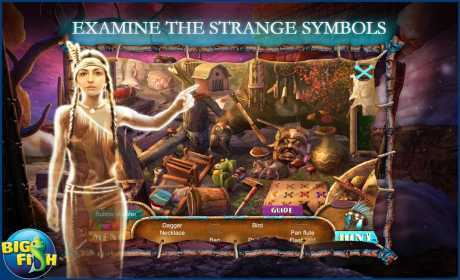 You’re an expert in Native American symbolism who’s been called to investigate some glowing glyphs. Your amulet, which has been in your family for generations, begins to glow as soon as you arrive. As you begin to investigate, you encounter ghosts of a lost civilization who are calling on you for help. Your adventure begins at the native cultural center. 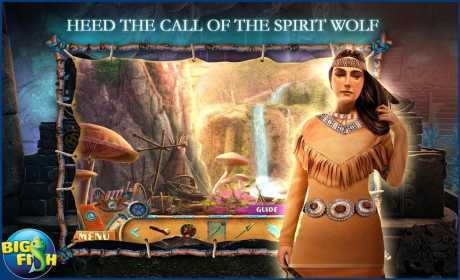 Uncover the ghosts of the past and find out what has brought their spirits back! 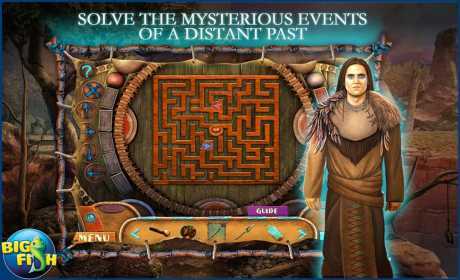 Dig through over 23 hidden object scenes and sub-quests! Use your trusty binoculars to find far-off clues and solve even more puzzles and mini-games. Break through the symbol barriers using your glowing amulet and find out more about your connection to the past. • UNLOCK YOUR AMULET’S SECRETS IN THIS COLLECTOR’S EDITION! Gather collectible sun runes and dream catchers for your souvenir room. Puzzle through a bonus game and enjoy the colors of the southwest in these wonderful wallpapers and concept art.